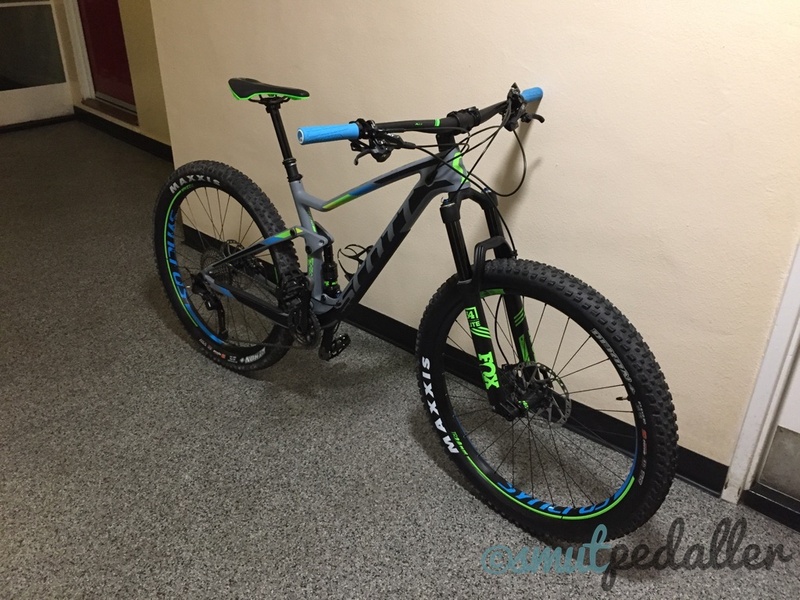 I can always find some way to improve my bikes, it didn't take long since I got my Scott Spark mountain bike that I decided to do an upgrade. One of the things that I felt could be improved was the drivetrain. 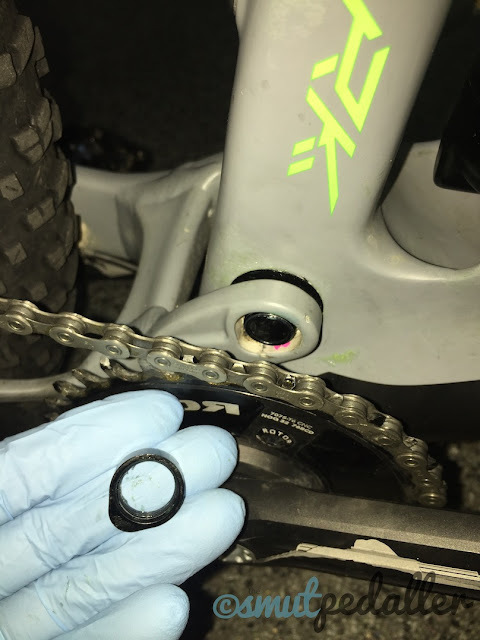 The Shimano XT 2x11 worked quite well actually, although I rarely used the small ring, it came with a 34/24t crankset with an 11-42t cassette. 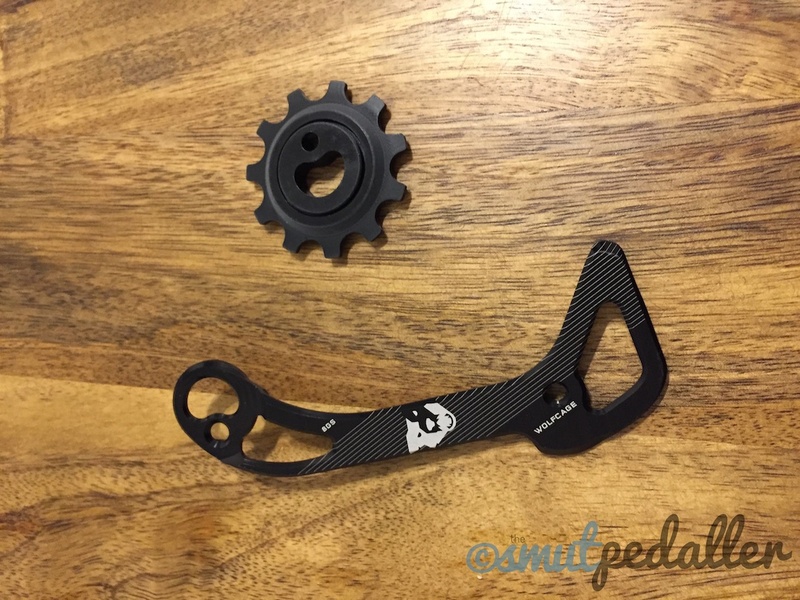 The logical step in changing the cranks would be to move to a 1x system as I was already quite happy with this on my gravel bike and it made even more sense on a mountain bike. This would also serve to declutter the handle bars a little more as well as save a bit of weight. 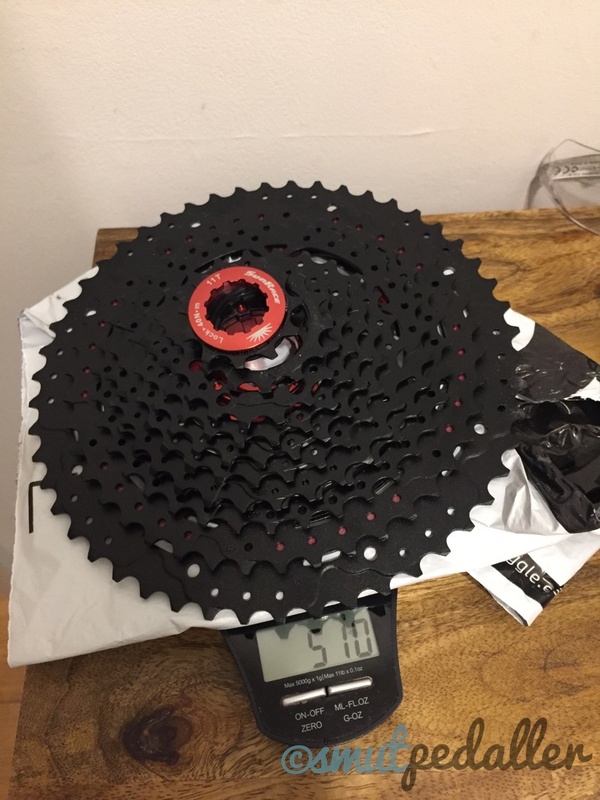 However the range of gearing would be quite limiting with factory Shimano parts, the largest cassette available was the 11-46t. 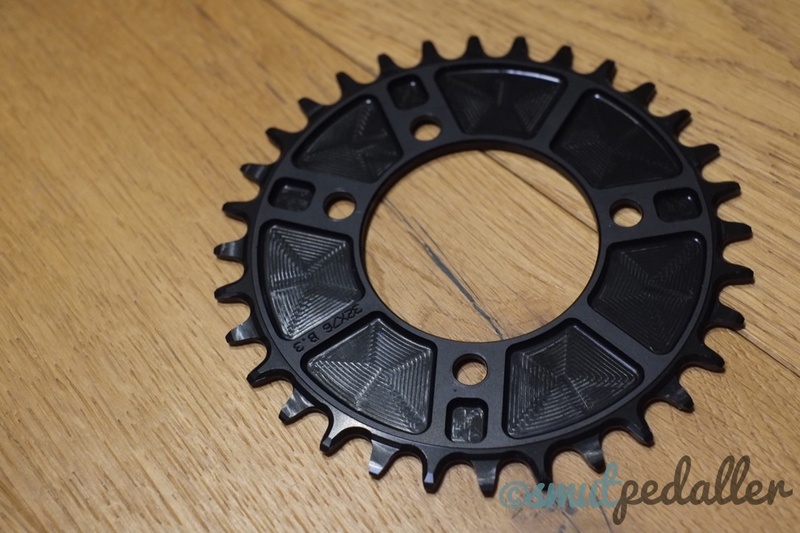 This required going aftermarket, Sunrace produces the 11-50t cassette in 11 speed, this features steel sprockets with the top two in alloy to save weight. This thing was a monster, I'd never seen a cassette this big before. The only real downside to 11-50t was the jump in gears, I wouldn't consider this for road riding, but for off-road the jumps aren't so much of an issue. The crankset was a harder thing to find, the Scott Spark features a PF92 bottom bracket which is effectively the same outside BB dimensions as a standard BSA. This mostly limited my crank choice as going for a 30mm axle crankset would mean I could only really use aftermarket bearings, the PF92 standard fits a 24mm axle, so going for a 30mm axle means you have to use smaller less durable bearings. 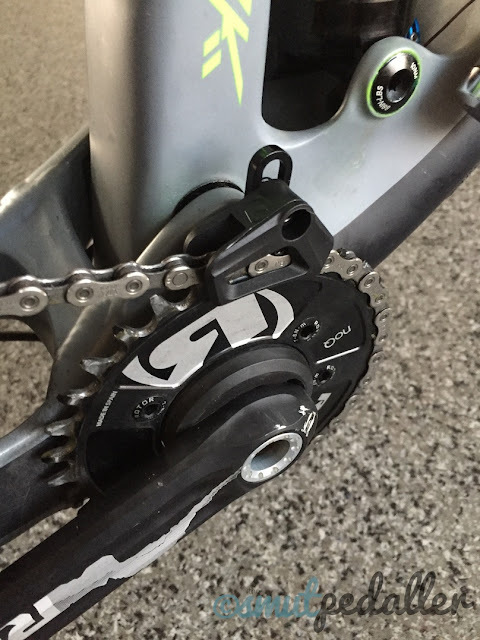 Only really the recently released Sram/Truvativ Descendant DUB cranks or the Rotor Rex 3.1 fit the bill. 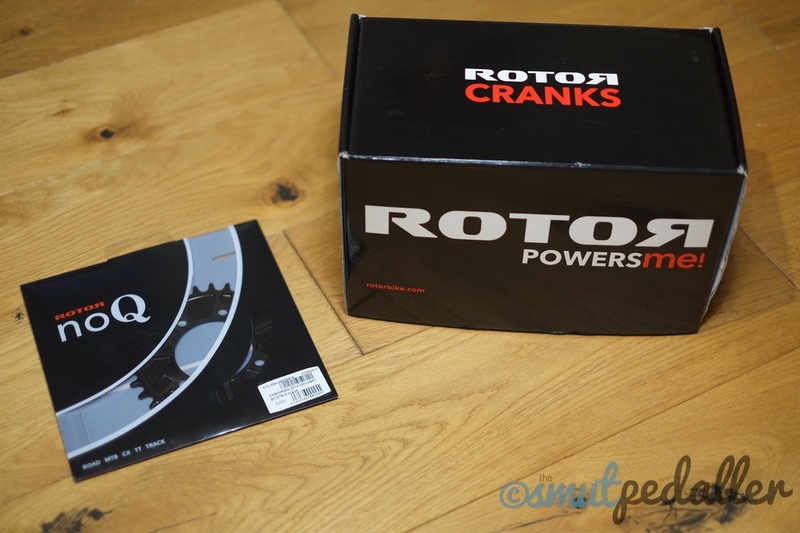 The Rotor cranks came in a lot cheaper and were similar weight, also I always liked their road parts. The only downside was that they run a slightly oddball 76mm BCD in their own proprietary pattern. 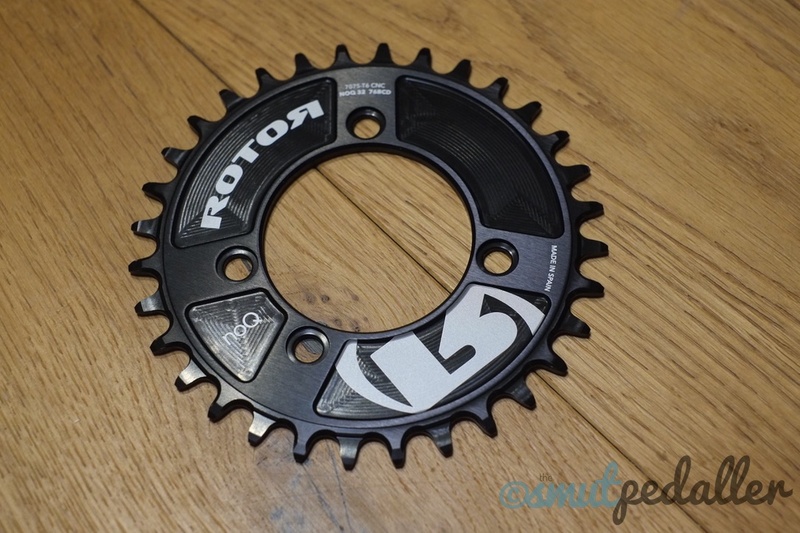 I took the plunge and went with a standard 32t narrow/wide chainring, Rotor is known for their oval rings, however I didn't feel like experimenting with this. 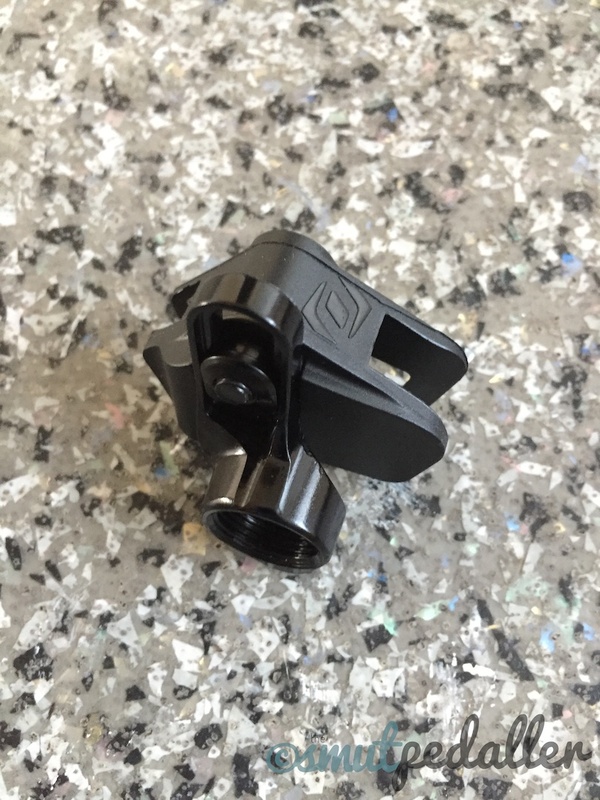 The other plus is that the Rotor cranks are compatible with Shimano bottom brackets so they should slot straight in. The cranks came in at 599g complete with chainrings and hardware which is very light for a fully alloy crankset with a steel spindle. 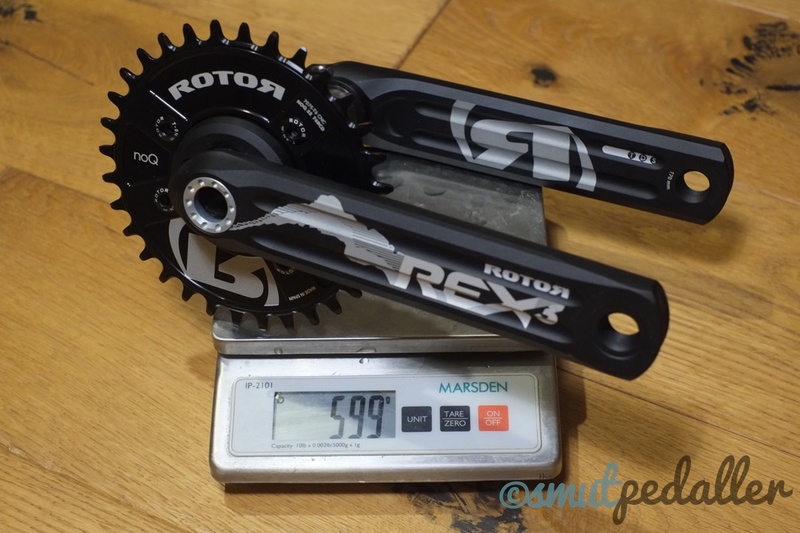 As a comparison the Shimano XT crankset they were replacing came in at 720g. The crankset itself is quite unique in that it looks like it is forged then the hollow section is drilled lengthways giving it the TDS "Triple Drilled System" profile which looks like a figure 8 with an extra bit. Also the chainring itself is beautifully made with an etched CNC finish. 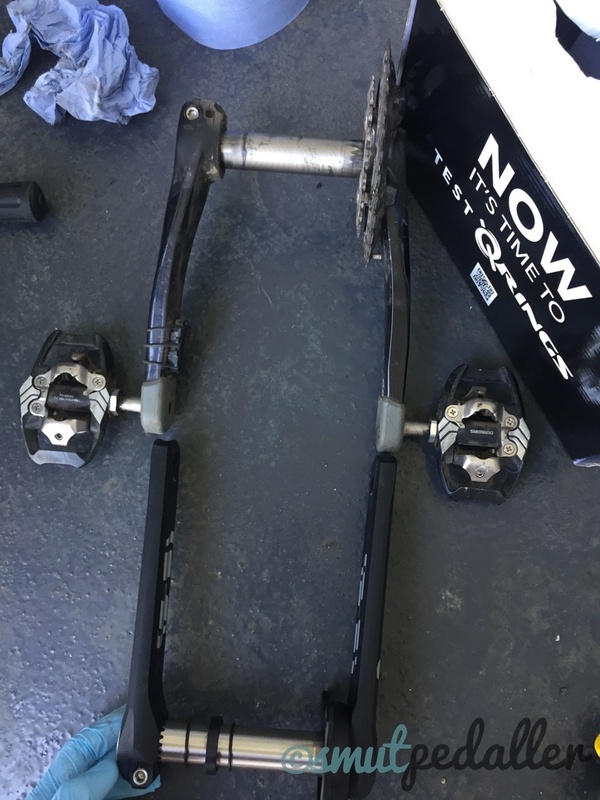 Removal of the Shimano cranks was straightforward, the bearings were perfectly fine despite having gone through a winter's riding with subsequent jet washing. This was good as the bike has a press fit 92 bottom bracket and I don't have the tools or experience with these. The spindle of the Rotor cranks went straight in, however the fixing system is quite different to any other cranks that have a pinch bolt on the non-drive side. The pinch bolt on the non-drive side has to be backed out to fit it over the spindle, no more than 2.5 turns otherwise the bolt will fully come out and you will never get it back in! Even with this backed out the non-drive side still needed some grease and a few light taps with a mallet to get it seated properly on the spindle. 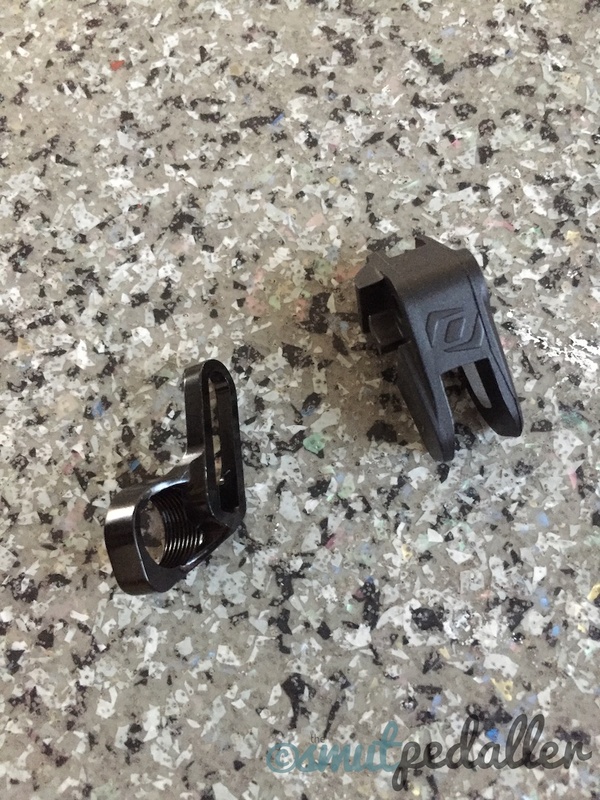 You can see below the difference in Q-factor, the Shimano XT cranks come in at 176mm wide and the Rotor cranks are 163mm which is significantly narrower. 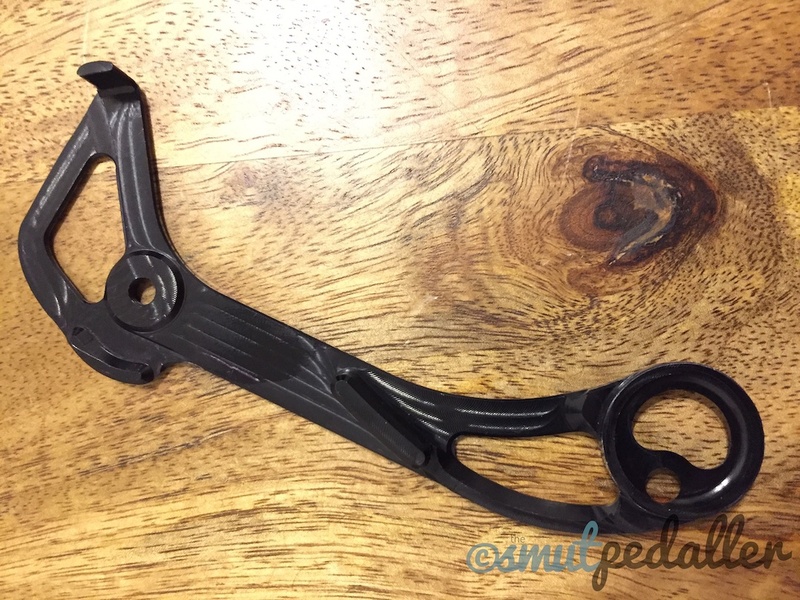 There are narrower cranks out there for MTB but none of these are boost spacing compatible and there was the chance that they could hit the chainstays. Luckily these cranks clear the chainstays perfectly fine, however it is quite a tight fit and my Garmin cadence sensor which is 5mm thick wouldn't fit on the backside of the crank. I opted for a 32t chainring to give me a super low gear with the 50t low sprocket. This overall setup gives a gearing range that almost reaches the range of the double setup. The Rotor chainring itself is beautifully CNC machined with a narrow-wide design and the proprietary asymmetric 76mm BCD chainring bolt pattern. Now for the rear of the bike, in theory the cassette should slip straight on and the long cage XT-M8000 rear derailleur should just work, according to the Sunrace website this derailleur is compatible. Well not quite... I found it struggled with an occasional mis-shift, especially from the 2nd to 3rd lowest gears, it would hesitate and most of the time would get stuck. 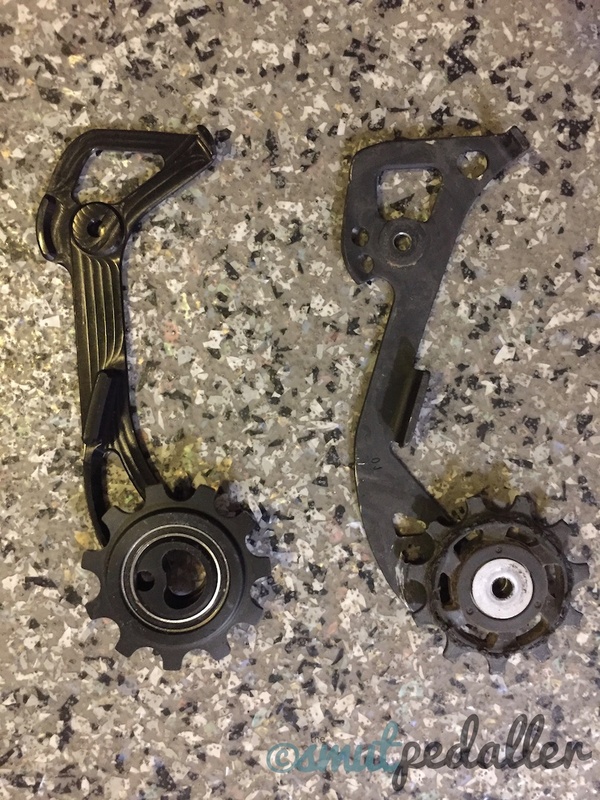 You could solve the latter by changing the b-tension however this would mean it would struggle to get in to the smallest sprocket; this was a sign that the upper pulley was getting in the way and the cage design wasn't compatible with the size range of the cassette itself. 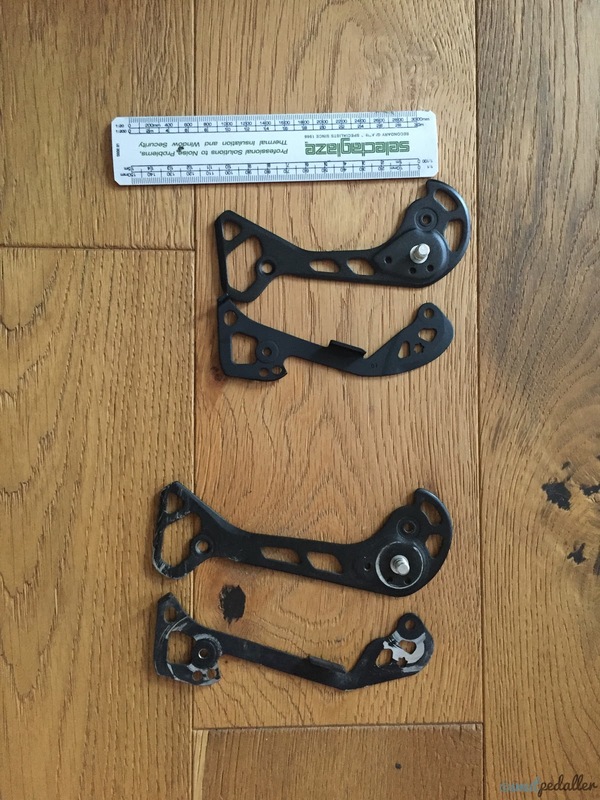 As Shimano only offers up to a 46t cassette from the factory that is officially compatible with this derailleur this was no surprise, despite Sunrace claiming that their 11-50t cassette is compatible. Doing a bit of googling I found that with this cassette many people had found changing to a medium cage on their derailleur helped with shifting issues. Some people had found it made no difference. I went ahead and bought the medium cage inner/outer, the medium cage is about 15mm shorter than the long cage. 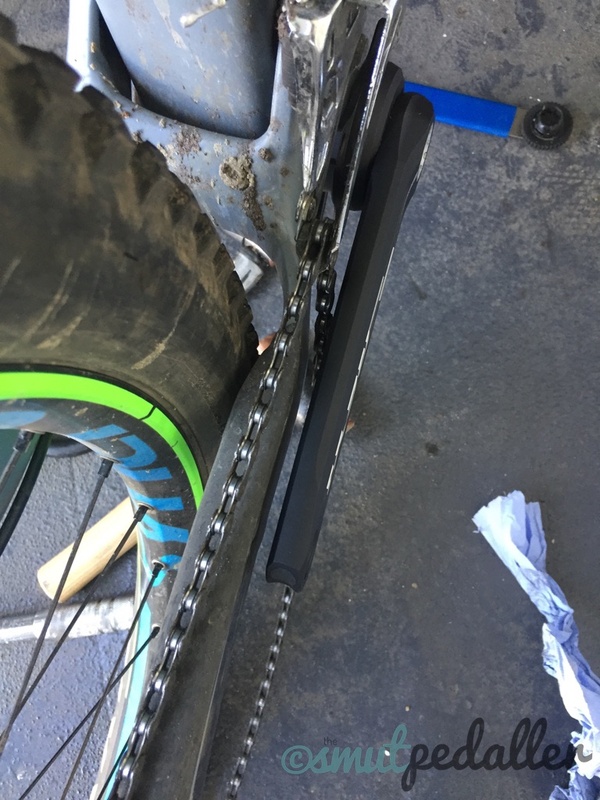 This helped a bit with the shifting but still did not solve the problem completely, it still struggled to get in some gears. What I learnt is that it really comes down to the individual bike, as each one has slightly different geometry and setup. The next step was to go to an aftermarket cage which offsets the upper pulley. Wolf tooth makes the Wolf cage which uses a special offset upper pulley, this shifts it back about 10mm toward the rear of the bike which moves it out of the way. The Wolf cage only includes the inner cage and requires it to be mated with the Shimano XT medium cage outer. The whole piece is a nicely CNC machined bit of aluminium alloy. 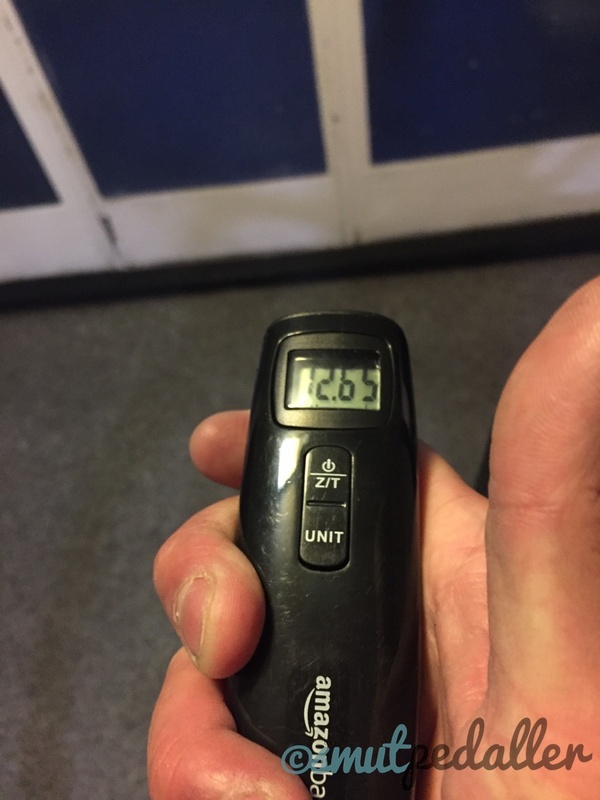 Installation was quite straightforward and immediately improved the shift quality, with a few adjustments it was near perfect now! Shifts happened immediately across the gear range in all directions. It isn't quite as crisp as the stock Shimano factory setup but it's about 97% of the way there. 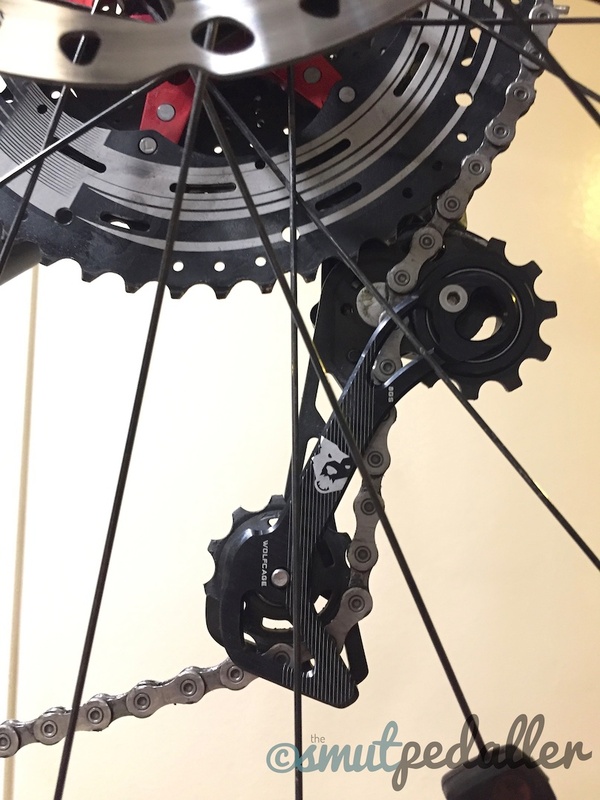 As you can see in the photo above it moves the upper pulley out of the way of the big 50t sprocket at the end without having to wind out the b-tension which compromises the high gear shifting. It makes for a very neat install as it takes the place of a lobe shaped nut which is part of the main pivot spindle. Height is adjustable for different chainring sizes and hopefully it should ensure that I don't drop my chain on really gnarly terrain. As normal, the conversion to 1x was not as straightforward as expected, in hindsight it may have been easier to just have converted the entire drivetrain to a Sram GX Eagle setup which is setup for 1x from the factory, this would have let me get a wide gear range (10-50t rear) and would be guaranteed to have shifted perfectly. On the plus side the handlebars are less cluttered now without the front derailleur shifter which I rarely used anyway, the 32x50t bottom gear is about as low as I need, the jumps in the gears whilst not great are bearable for the advantage of simplicity. 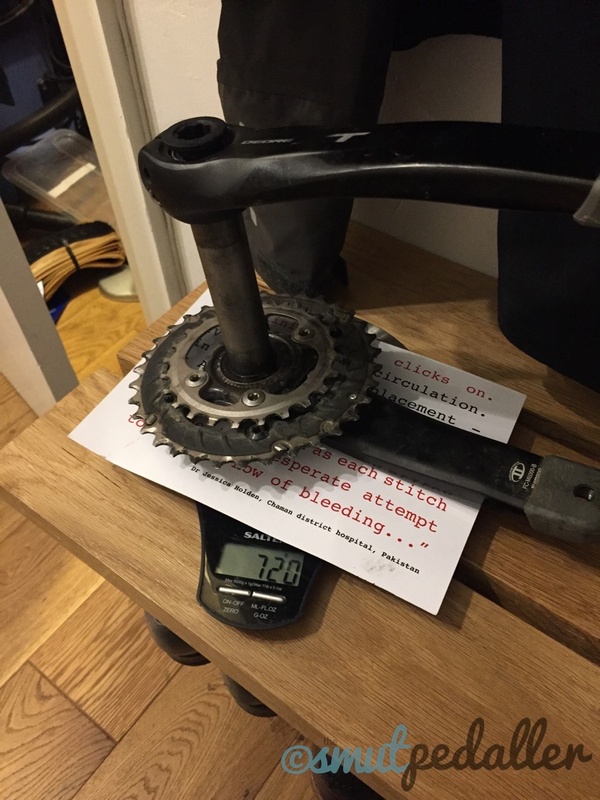 Also there was a slight weight loss now, about 300g as I removed the original double crankset, front derailleur and shifter but added a slightly heavier cassette and a lighter crankset. 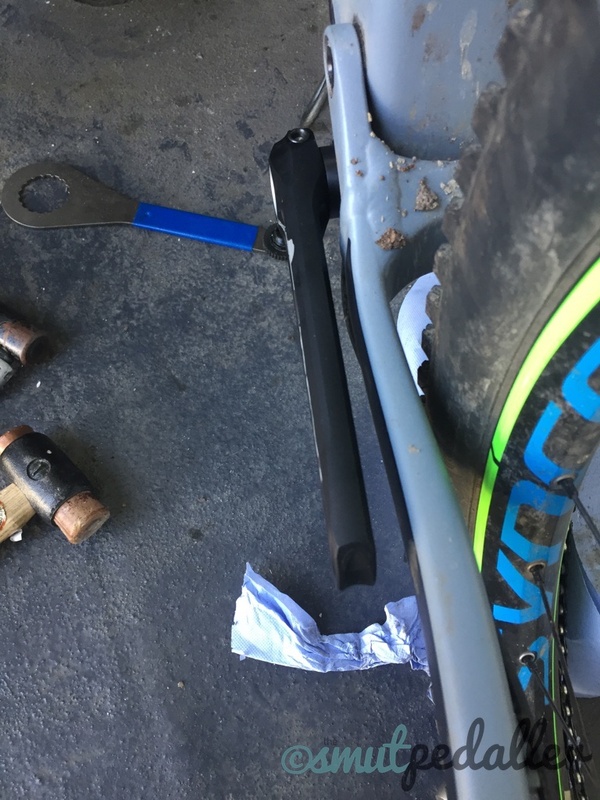 The crankset with its narrower q-factor and shorter length has made a noticeable difference, rock strikes are less common and I no longer have knee pain.